A solar-powered chip could convert 43% of the sun's energy it receives into electricity, and require significantly less cooling. 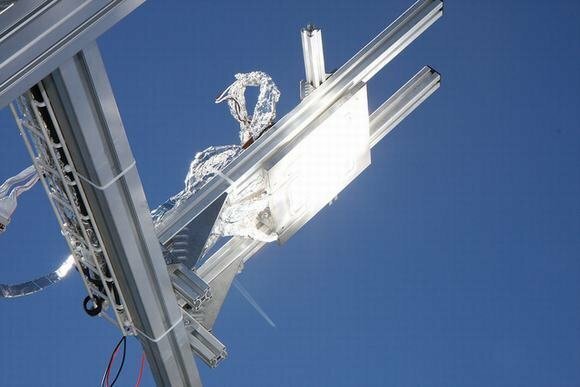 But to deliver the energy needed, the sun's rays need to be concentrated by a factor of 1000 – and IBM is working towards that goal. The light reflected from the chip in the picture would be enough to permanently damage your eyes if viewed without a filter.